Dasylirion wheeleri, or Sotol, is another rugged plant native to the southwest, offers fine texture to a wide array of landscape styles or in large pots. Its overall hardiness makes it a versatile specimen for extreme heat and cold, where good drainage and full sun is available. The foliage of sotol is blue, narrow, and is finely toothed/serrated with spines that curve back towards the base of the plant. Spines catch clothing or skin easily, so avoid planting near pathways and use gloves when planting and cleaning. Each rosette is very symmetrical, with a tight round habit. 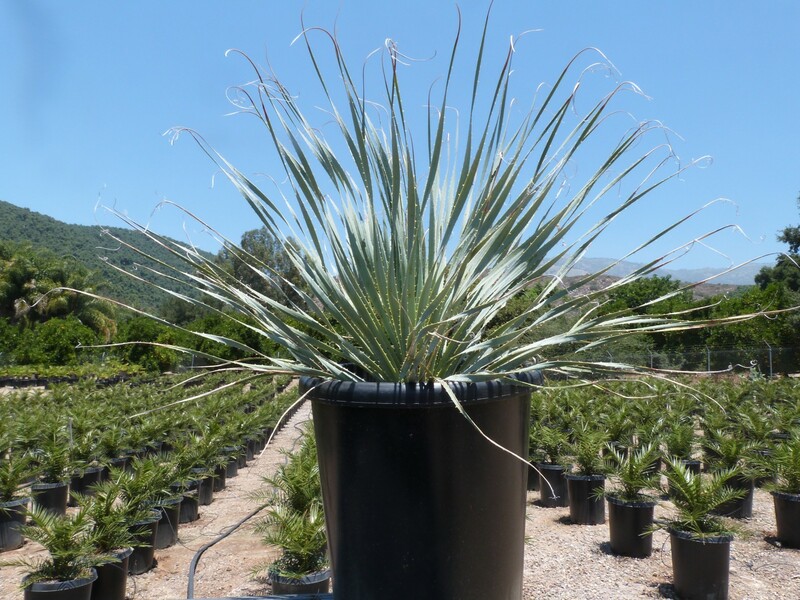 Sotol forms rosettes off of a single trunk that can reach 4- to 6-feet in height with a spread of 3- to 4-feet. Plants are long-lived and will form 10- to 15-foot tall flower spikes every few years on each rosette. The yellow flowers in summer attract many pollinators including bees and butterflies. Seeds will follow on the flower stalk and are very attractive in the garden or when used in dry arrangements. Sotol can be used to distil tequila and has had an important role in culinary, spiritual, and even textiles in different indigenous tribes through the southwest.